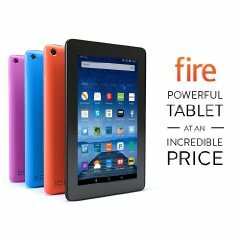 Not sure how long this deal is good for, but right now you can get the already low-priced entry level Fire for an extra $10 off on Amazon. So basically starting at only $40. I saw a couple of popular books in the Kindle Daily Deals and a lot of steals in the Kindle Countdown Deals today, including a 5-pack of humorous mystery novels.